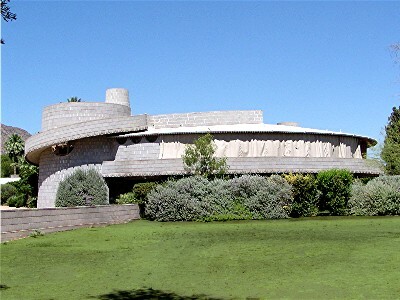 A round house in Phoenix, Arizona, built by legendary architect Frank Lloyd Wright, sold for $2.38 million in late December 2012, saving it from demolition. 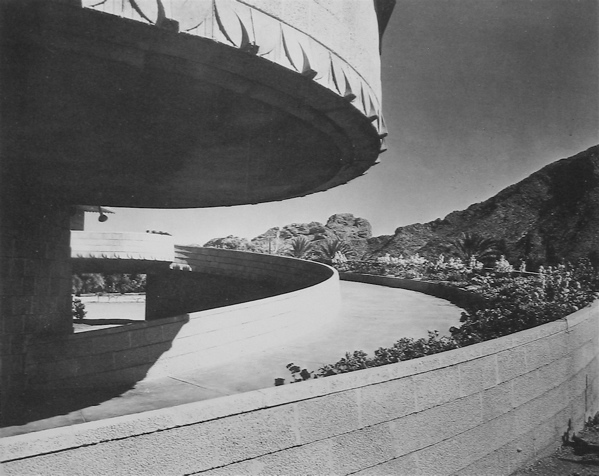 One of the architect’s later works, the historic 1952 structure prefigures the circular design of the Guggenheim Museum. 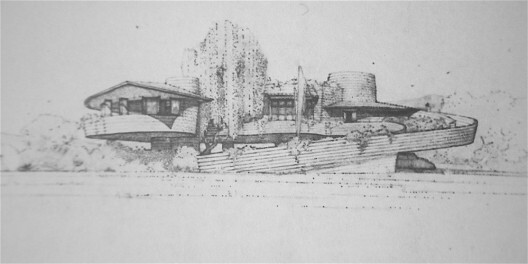 The Orcutt House, on sale in Worthington, Ohio, consists of two intersecting circles, one forming the body of the house and the other forming a smaller kitchen area. 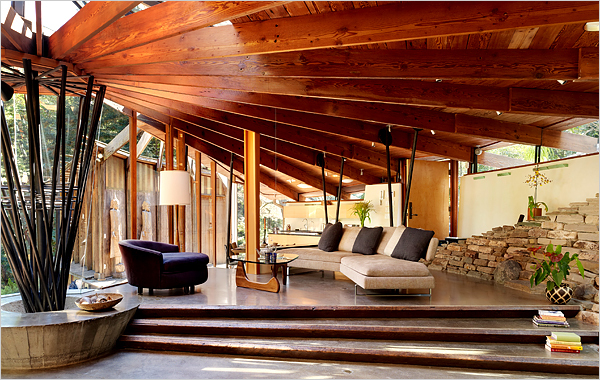 Designed by architect Theodore van Fossen in 1958, it is a single story structure on a 0.7 acre lot. The house is part of a residential community called Rush Creek Village, inspired by Frank Lloyd Wright’s principles of organic architecture. Made up of 49 single-family houses linked by a system of curvilinear streets, the neighborhood and each of its homes were designed by van Fossen, who had worked for Wright on construction projects in the late 1930s in Indiana. A deal was signed last week by the developer who owns the 1952 Frank Lloyd Wright-designed house in Phoenix, and the city of Phoenix, which delays the demolition of the house for at least a month. The developer, 8081 Meridian, contends that the city issued a valid demolition permit that would allow the house to be torn down. Having bought the house in June 2012 for $1.8 million, he has reportedly turned down a cash offer of more than $2 million from a prospective buyer looking to save the historic structure. The search for a buyer who can satisfy the developer’s financial demands continues. After negotiations with the city and the Frank Lloyd Wright Building Conservancy, Hoffman said in mid-July that his company has put its plans on hold for 60 days while seeking a compromise solution to save the house. The waiting period ends on August 21. 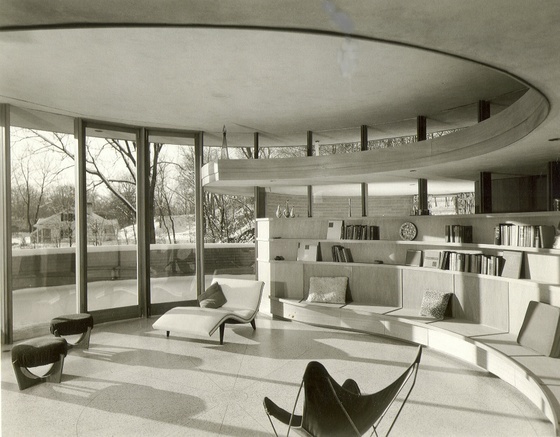 Closer to a half-circle than a circle, the Radius House, built in 1958, was designed by architect Daniel J. Liebermann. 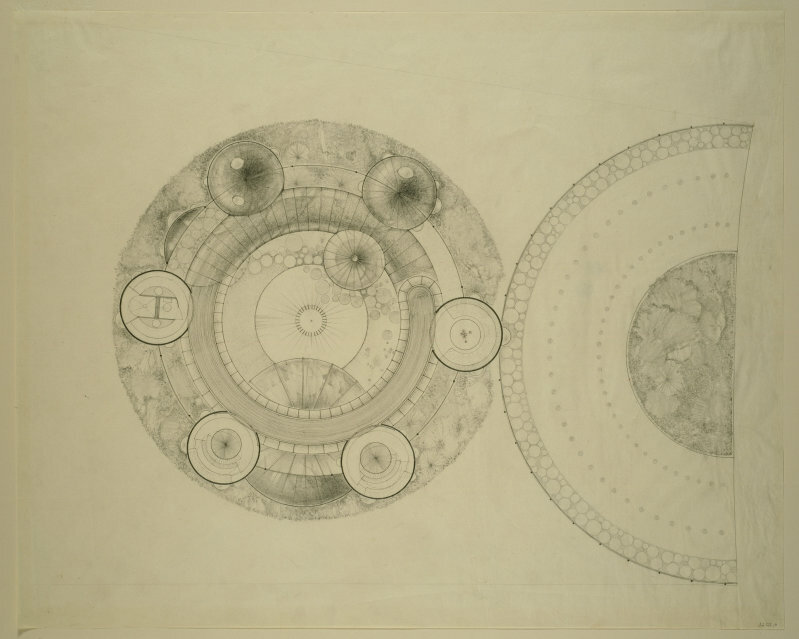 An apprentice to Frank Lloyd Wright at Taliesin West, Liebermann was only 28 years old when he built the house for himself and his wife. The house was built of salvaged brick, exposed beams of Douglas fir reclaimed from a bridge in Ukiah, and skylights obtained from WWII bombers. A 2010 renovation led by Vivian Dwyer of Dwyer Design opened up the interior, updated the wiring and appliances, and added modern elements. Designed by Don Erickson, an apprentice to Frank Lloyd Wright, it shows Wright’s “Usonian” influence. In 1958, a few years after it was built, it received the prestigious American Institute of Architects award.